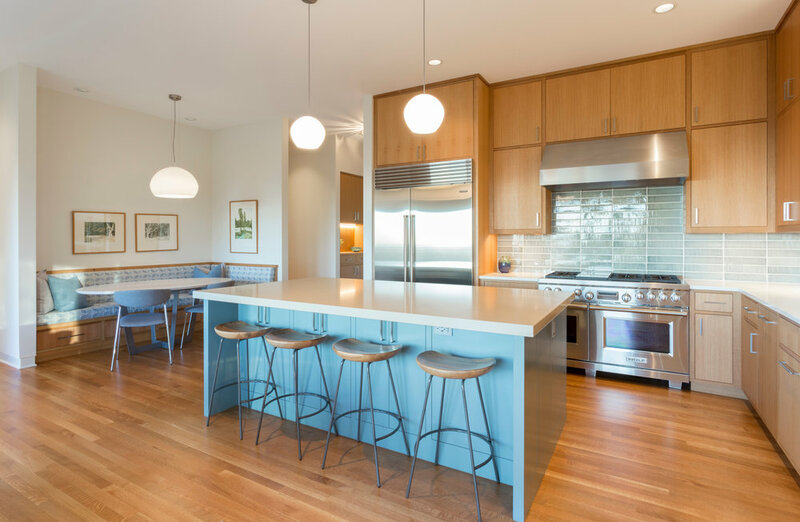 A modern home with an 80's remodel was brought to us for freshening up. We focused on the hub of the home, the kitchen, eating nook, and family room. 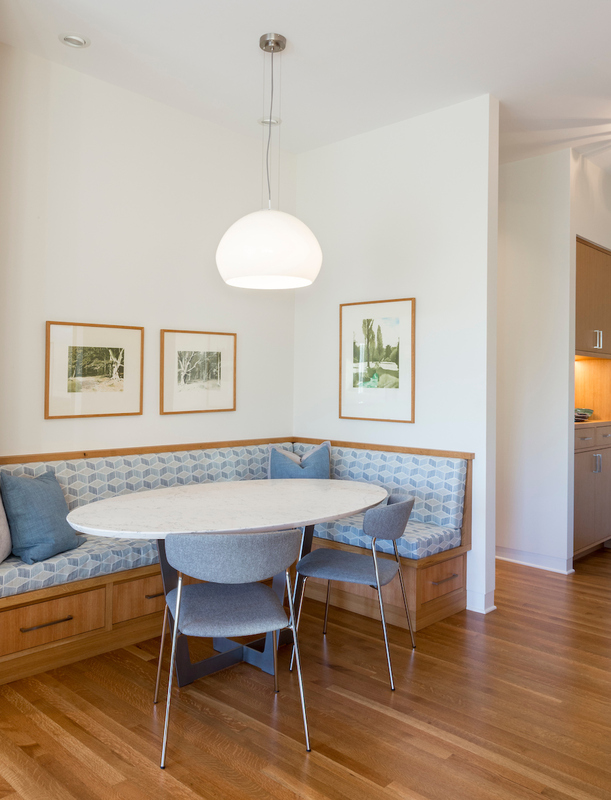 The goal was to create a highly functional space for a busy family of four. Where a pizza party for a lacrosse team would be just as comfortable as an elegant evening for adults. Add bonus points for dialed in storage, a gas fireplace, and a heavily used mudroom.